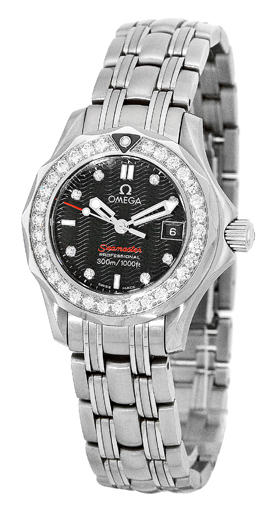 Lady's Stainless Steel Omega Diamond "Seamaster" 300m. 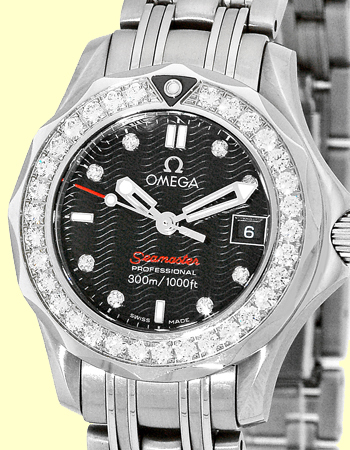 Black Wave Pattern Dial with Diamond Hour Markers, Sweep Second Hand, Date Indicator, Stainless Steel Rotating Diamond Bezel, and Sapphire Crystal. 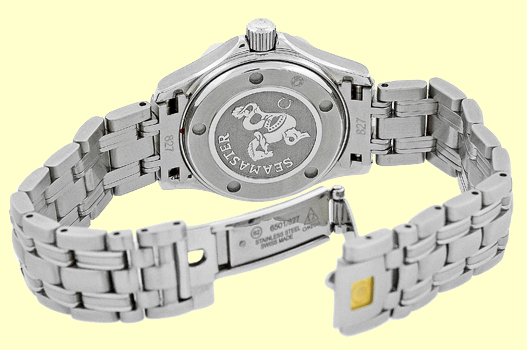 Matching Stainless Steel Omega Push Button Fold-Over Clasp Bracelet. 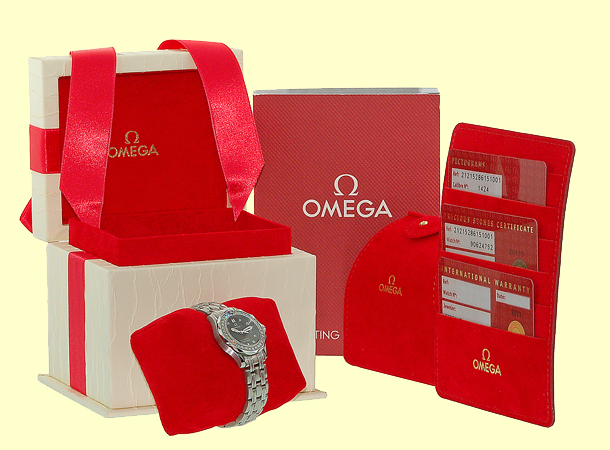 Brand New, Showroom Perfect with Omega Box, Booklets, Warranty Cards, Hang Tag, and complete with Capetown's Lifetime Warranty! !